A new boiler installation or replacement for your home can seem like a large investment. But it doesn’t have to be. 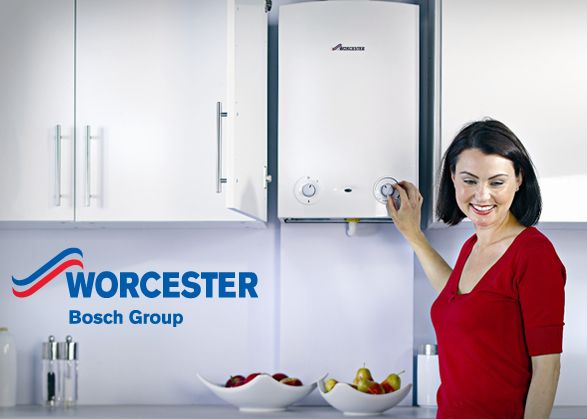 We’re offering our Worcester Bosch boilers on a pay monthly finance plan so you don’t have to worry about the large outlay in one go. This means you can pay for your boiler now, getting it installed as soon as possible, and spread the rest of the cost for up to 10 years! Our Consumer Credit Licence is in partnership with Hitachi Finance so you can rest assured that your finance plan is in safe hands. How much will a boiler on finance cost? The cost of your new boiler will depend on the finance plan you choose. We have a range of pay monthly options available, that you can tailor to your requirements. You can spread the cost of your boiler over 10 months up to 120 months – that’s 10 years of potential boiler savings. You’ll need to pay a deposit and then pay the rest off in equal monthly instalments. To find out the payment plan that suits you best, get in touch with DHS. If your boiler is more than 10 years old, having a new energy efficient boiler model will definitely save you money. Condensing boilers are generally 90% more energy efficient compared to older models, which will reduce the cost of your energy bills in the long run. We even offer extended warranties up to 10 years on select models. Not only will you benefit from a brand-new boiler on finance, but DHS’s renowned reputation for a fast and high quality boiler installation service. We have over 40 years’ experience in the Bristol area, helping customers from installation right through to servicing and repairs. All of our heating engineers are Gas Safe registered too so you can be confident that the installation will be carried out safely. If you’d like to hear more about boilers on finance and the plans available, then please get in touch with the team. You can call us on 0117 924 7200, email us or fill in our contact form.